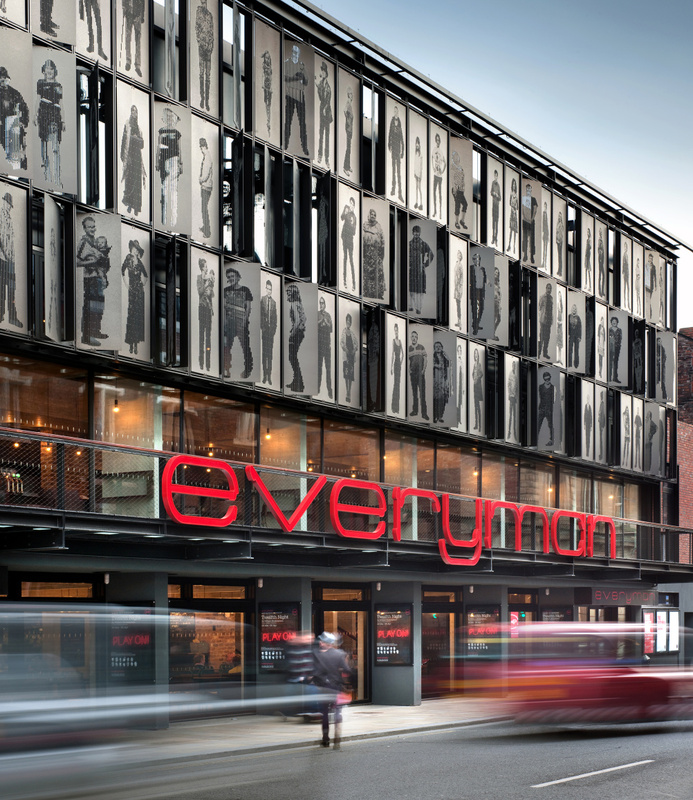 Haworth Tompkins architects is behind the £28m rebuilding of the Everyman Theatre, Liverpool, and has designed the interiors throughout. The main west-facing facade of the building conceived by Haworth Tompkins partner Steve Tompkins features 105 moveable sunshades, each featuring a portrait of a Liverpool resident shot by photographer Dan Kenyon. The installation sits next to a new version of the Everyman sign created by typographer and artist Jake Tilson. 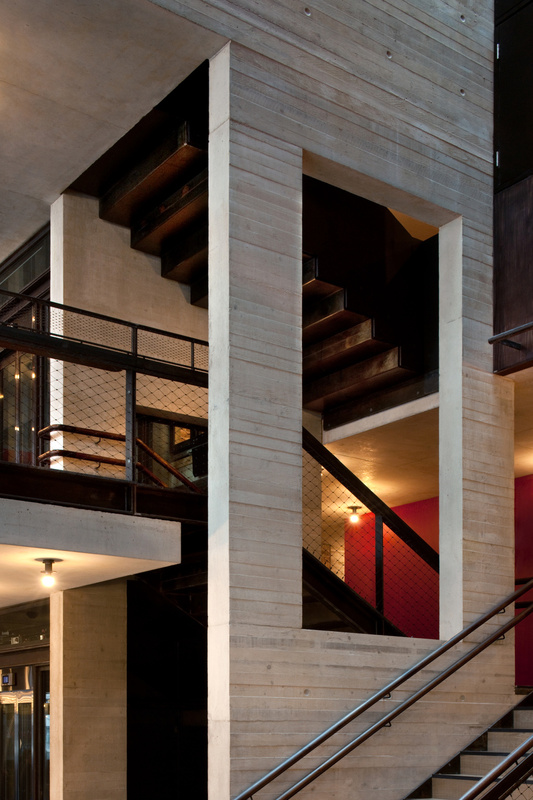 Inside artist Antoni Malinowski has created a large painted ceiling piece for the foyer to complement an internal palette of brickwork, black steel, oak, reclaimed Iroko, deeply coloured plywood and pale concrete. 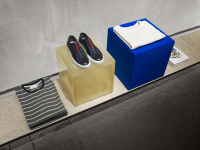 The design has seen roof timbers recycled and bricks from the original Everyman picked out of the rubble and integrated into the new building. 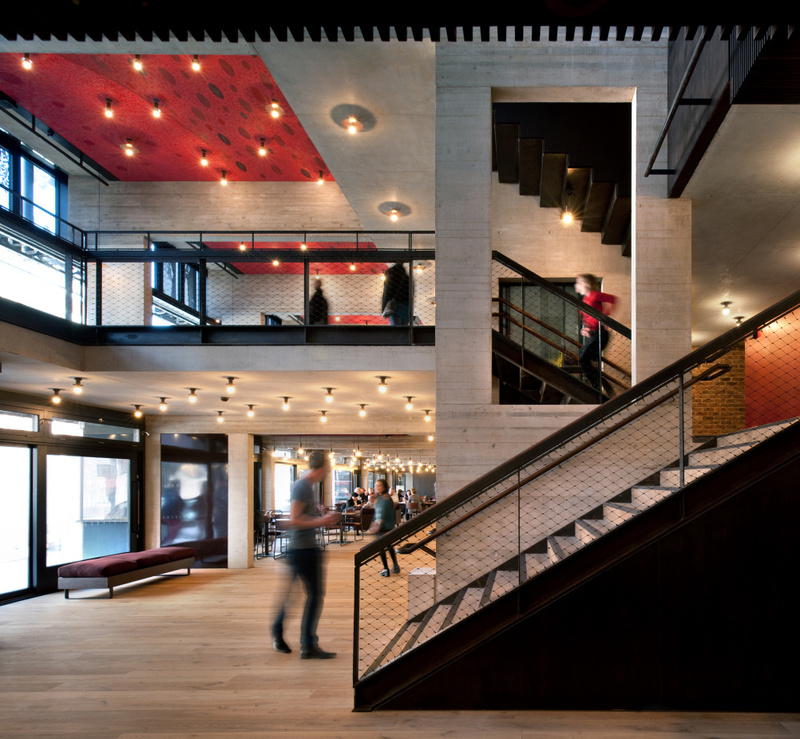 Around 25,000 bricks make up the walls of the main 400-seat auditorium on the first floor. Although founded in 1964, the original was converted from the 19th century Hope Hall chapel. The new building also comprises a smaller performance and development space, a large rehearsal room, public foyers, exhibition spaces, catering and bar facilities, along with supporting offices, workshops and ancillary spaces. The constraints of the site have been met by arranging public spaces around half levels and establishing a continuous winding promenade ‘from street to auditorium’ according to Haworth Tompkins. Foyers and catering are organised over three levels and include a new Bistro, culminating in a ‘paino nobile’ foyer overlooking the street. 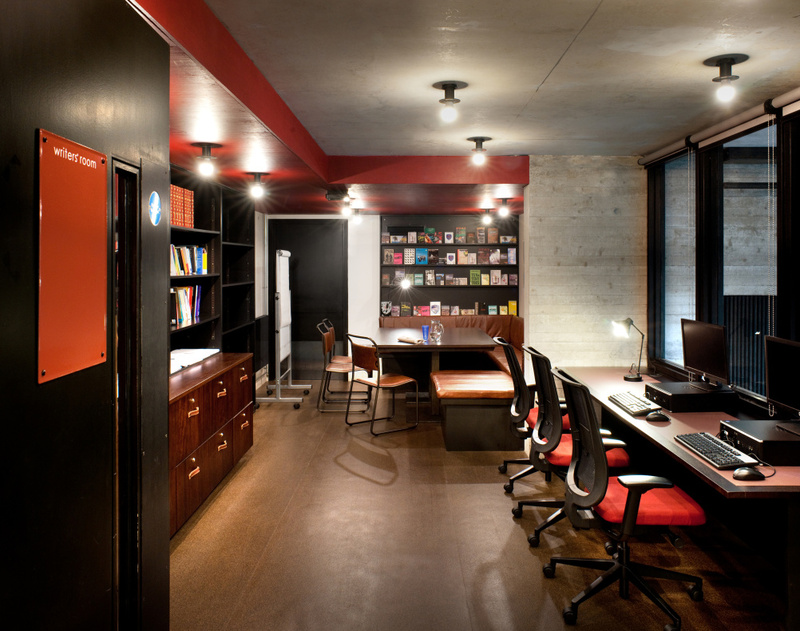 Creative workspaces include a rehearsal room, workshops, a sound studio, a Writers’ Room overlooking the foyer, and EV1 – a special studio dedicated to the Young Everyman Playhouse education and community groups.